Muar, sometimes known as Bandar Maharani, is a town located in Johor, Malaysia which is best known for its food, original coffee and historical buildings from the pre-war. 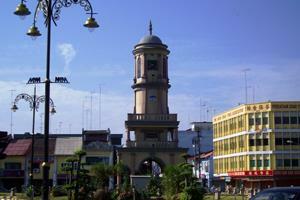 Muar has been declared as the Royal City of Johor and the fourth largest city in the state. This town is so rich in its own history to the extent that is was even mentioned in many historical and archaeological records. 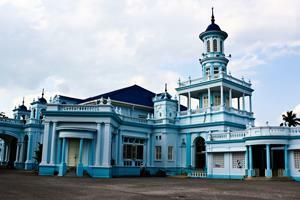 It is even believed that the history of Muar started as far back as the era of the Sultanate of Malacca. During that time, this unique town has even changed its name about six times before settling down with ‘Muar’. Since there are no airports or train stations in the area, one of the most preferred way of traveling to this richly historical town is by taking a bus to Muar. Despite its extensive background history, Muar is a considerably small town, so it only has one main bus terminal which is the Muar Bus Terminal, located at Jalan Maharani. Most of the express but to Muar will make daily pick-up and drop-offs at this location. However, this bus terminal is located right next to a road that frequently gets congested. Also, the bus terminal is an open air building that is equipped with several ticket counters catering for different bus operators and a food court right next to it. Due to the fact that there is only one bus terminal in town, most of the bus to Muar will make pick-up and drop offs at the Muar Bus Terminal. Some of the buses that offer the route to Muar include Transnasional, S&S International Express, KKKL Express, Airport Coach and more. Sultan Ibrahim Jamek Mosque, Bentayan Fort, Panglima Lidah Hitam Tomb, Kota Buruk Fort, Muar River, Jalan Haji Abu Hawker Centre. Book your tickets for the bus to Muar today!